Enterprise Architect is a powerful productivity tool that can help each and every Business Analyst to become more efficient and productive in their day to day role. 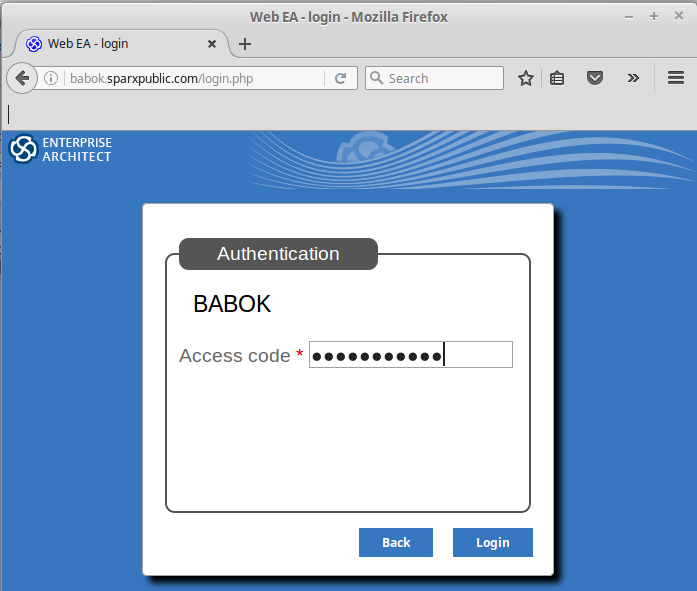 This tutorial will demonstrate how to access and utilize the Tools and Techniques for BABOK Guide v3, teaching you how to implement best practice BA guidelines using suggested techniques, links to on-line help instructions and showcasing practical examples built in Enterprise Architect. 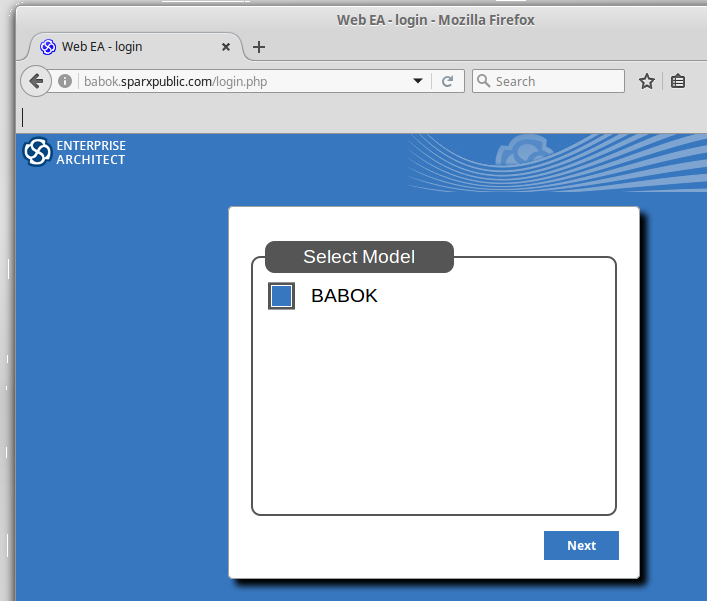 When starting with BABOK based modeling, an initial step is to reference the BABOK Guide v3 and decide on the what aspects of Enterprise Architect you are wanting to use. You can then run the Model Wizards to load these into your Enterprise Architect model ready to start you model-based analysis process. Select the BABOK model option. Those of you familiar with the BABOK Guide v3 will recognize the knowledge areas. Each column corresponds to a Knowledge Area in the BABOK Guide; while each cell corresponds to a different Task. 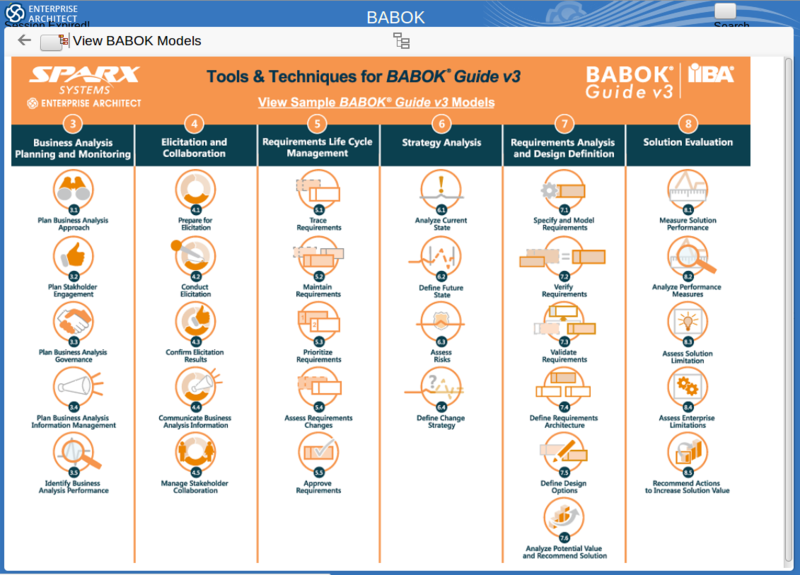 The Tools & Techniques for BABOK Guide v3 provides an initial outlay of the BABOK tools covering sections 3 to 8 from the guide. You can run through these options and decide on which a process you want to model. For a starter let's select the initial process by reviewing a task. You can review each task and decide which techniques are appropriate for your specific project. 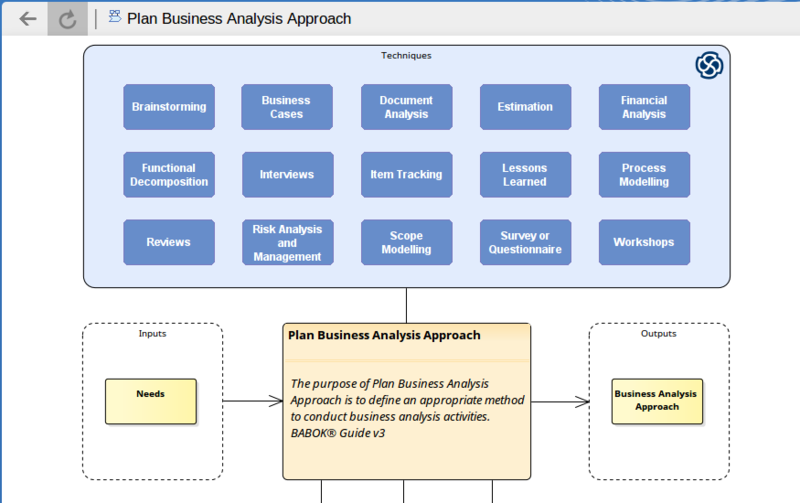 For this particular example, I have selected that Task entitled "3.1 Plan Business Analysis Approach". This will display the details on the Document Analysis technique. 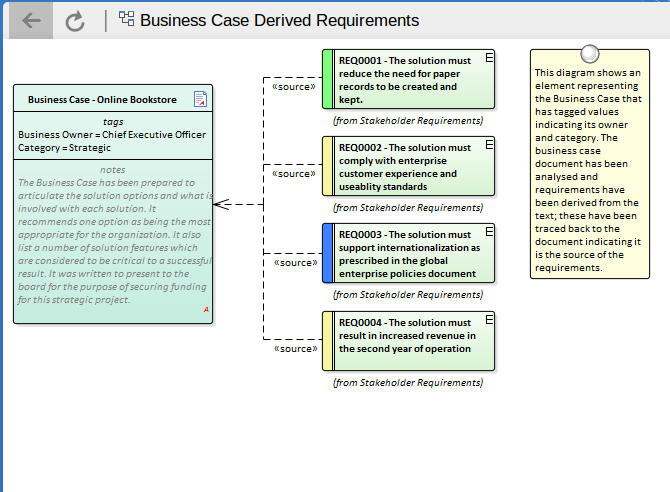 Under the Modeling Options is a general explanation of the Enterprise Architect features to use. In this case it is covering importing a Document and creating relevant model elements from this. 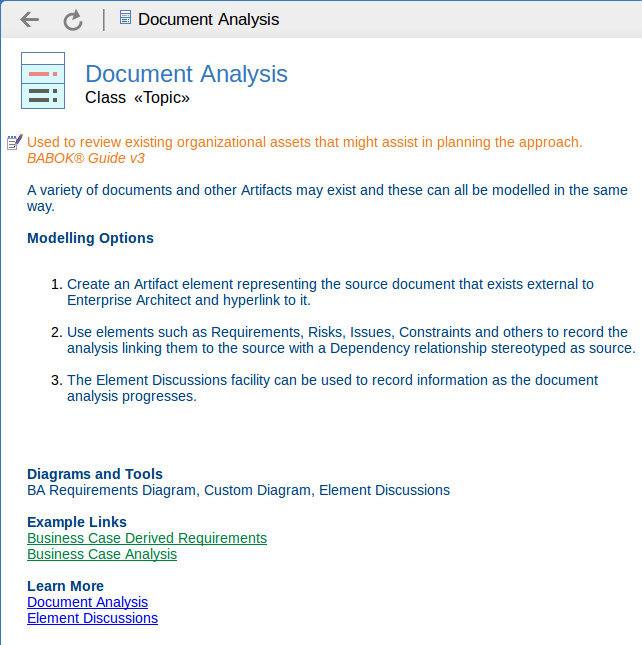 This provides links to completed examples that you can use in the Document Analysis.